Hopefully you’ve now sent out your first MailChimp email campaigns to your mailing list, and have a better understanding of the basic features of this great email marketing tool. As well as making it very easy to send out attractive and well-designed emails to your list of subscribers, MailChimp has another very useful feature which we are going to take a look at today. This it the autoresponder feature which allows you to send out automated emails to your newsletter and mailing list subscribers. As the name suggests, the autoresponder feature allows you to send out automated emails to those on your subscriber list. A popular use of the autoresponder is to send out a welcome or follow-up email to new subscribers. This is a great way to reach out to those interested in your business and provide them with more information about your services. 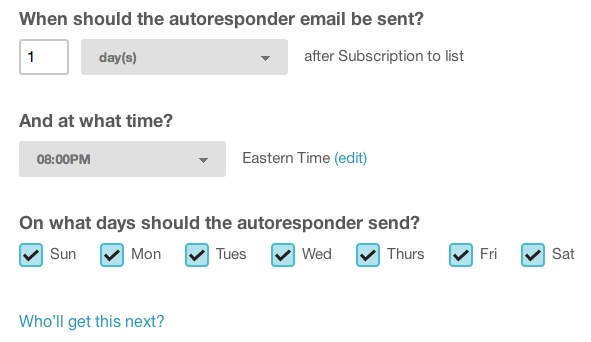 You can also configure the options of the autoresponder in MailChimp to send out a sequence of emails to new subscribers, which are sent out a set number of days after they subscribe. This is ideal for delivering a series of daily tips or sequential messages to new subscribers. These emails can also be triggered when a subscriber completes a certain action or by information stored in their profile. This means these emails aren’t sent to your entire list, or even a segment of users, but just to those who meet a specific requirement. These requirements or triggers include actions such as the date they subscribed to your list, how they interacted with an email campaign you sent out, special occasions such as a subscriber’s birthday, or when they visit a certain page on your website. Autoresponders allow you to better engage with your subscribers and do so in a more targeted way. They are also a great way to save time and put your email marketing efforts on autopilot. For example, you can create an autoresponder email that will only be sent to subscribers who have opened a previous email campaign you sent out. This allows you to send out an automated follow-up email only to those who have engaged with your previous correspondence. As MailChimp has sophisticated tracking features, it can determine which of your subscribers opened an email you sent, as well as those who clicked on any links contained in that email, and even which specific links they clicked. One great use of this feature would be to send out an email campaign to all subscribers announcing a new service you are offering. That message would contain a link to the page on your site further explaining the new service. The autoresponder email could then be configured to go out to all those who opened the email campaign and followed to link to the page on your site that covers your new service. The contents of the autoresponder message could further describe the new service you have launched, as well as asking if the subscriber has any more questions about the service and were interested in trying it out. The advantage of this is that the follow-up autoresponder wouldn’t be sent to those who hadn’t visited the link in your email and therefore can be assumed to not be interested in your new service. Sending the follow-up email to those subscribers could result in them unsubscribing from your list due to perceived over promotion of your services that weren’t of interest to them at that time. However, by only sending to those who had shown an interest, you can make your message more targeted and specific to them. 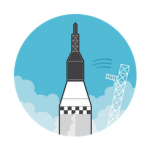 Another advanced feature of MailChimp is its Goal feature. This allows you to not only track when a user clicks on a link in your email, but if they then go on to visit a specific page on your website. A practical use of this would be if a subscriber clicked on a link in your initial email campaign, visited the page about your new service, and then followed a link on that page to the checkout or order page for that service. By visiting the checkout page they would be completing a goal. If the user visited this page but did not complete the transaction, an autoresponder email could be sent to them. This message could ask them if they had any final questions before they were ready to complete the transaction. This would be a very targeted email and would only go out to those subscribers who got to the final stage of the sales process before abandoning their journey. Being able to communicate with these potential customers is very valuable as you can either overcome any obstacles preventing them from signing up, or garner feedback that can help you better develop and market your new services in the future. Hopefully you now have a good understanding of the autoresponder and how it can help your business. So let’s take a look at how you can go about making use of this powerful feature with MailChimp. Login to your MailChimp account, and then click on the ‘Autoresponders’ button from the left-hand menu. The next step is to select the recipients of this autoresponder message. This can be either the full list or a segment of your list. However, the message won’t go to all the recipients you select, just those who trigger the autoresponder. Under the autoresponder configuration header, select an event from the dropdown menu under the ‘What event will trigger this autoresponder?’ text. The event options will be listed, including subscription to list, as well as campaign events such as email opens and link clicks. By selecting ‘Subscription to list’, you can send out a follow-up email to new subscribers. You can set the number of days after the trigger, which in this case is subscribing, to wait until sending the automated message. Once you’ve setup the timing and conditions for sending out this email, you can then design and create your message which we covered in the last post on sending an email with MailChimp. After the message has been created, you can confirm the details and click the ‘start autoresponder’ button. 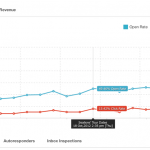 Autoresponders are where email marketing services likes MailChimp really come into their own. By being able to create your messages in advance, and setup up conditions that trigger their delivery to targeted subscribers you can really automate your email marketing efforts. If you have any questions about creating your first autoresponder, don’t hesitate to get in touch. I followed your instructions regarding auto responders on Mail Chimp, it looked quite easy except that the features have changed on the Mailchimp site and it appears that it is no longer a free service. Is this the case or have I missed something? However! It looks like there’s a service that may be helpful. I haven’t tested it myself, so apologies if it doesn’t work; but here’s the link: http://bradsknutson.com/blog/free-mailchimp-autoresponders-zapier. Mailchimp has changed quite a bit and although it may offer a free to use service for a limited amount of subscriber numbers, this comes with a certain amount of limitations and constraints that generally are not beneficial for the needs of marketers today. They do not allow affiliate marketing within their TOS. This counts them out for me given that the majority of money made by most successful bloggers and website owners comes through some form of affiliate marketing and multiple lists. There are much better alternatives but unfortunately those who generally go for free stuff aren’t giving themselves the best chance of success and will never progress unless they invest in a decent email autoresponder that actually allows them to grow without restrictions. Mailchimp just don’t cut it in today’s marketing environment, particularly given that organic traffic is becoming increasingly difficult to gain due to the regular algorithm updates that Google throws at us. Savvy marketers are becoming much less reliant upon Google and SEO and are concentrating on the capability of building multiple lists and gaining sales from existing customers. Mailchimp don’t allow for that either.